where together we become one voice! It is my pleasure to serve as the 2018 DeKalb Chamber of Commerce Board Chair. I’ve had the pleasure of living in DeKalb most of my adult life. I raised my sons here and I’m a proud homeowner here. I joined the Chamber to make a contribution to being a part of the growth of the county. I’m proud to say that my tenure on the Chamber board has given me many opportunities to work side-by-side with many of the county’s leaders. The four pillars of the Chamber’s service to the county include education and workforce development, economic development, public advocacy, and member services. I’ve had the pleasure of chairing the Education Committee and quickly came to understand that creating a stronger workforce is paramount to the success of our county. Preparing our young people to become tomorrow’s leaders is essential for the growth of our county and country. Our Chamber works with local education and workforce development leaders to help meet the needs of growing businesses in the area. We host meetings where stakeholders can have meaningful conversations about the needs of our young people as well as the needs of small to large businesses. These meetings create partnerships and synergy that keep us moving forward by improving our ability to educate, recruit and retain an educated and skilled workforce. Our Biscuits and Breakfast series helps to strengthen small businesses through networking and training. Our Government Affairs committee works with elected officials to keep them informed on relevant issues of concern for our business leaders and citizens. Our staff and board members also work to create a pro-business environment in the county through open dialogue with county officials and staff pertaining to ways to reduce time and increase productivity across the board. We are big believers in transparency and we do our share to push information out to our members about changes, growth as well as missed opportunities. I hope that you will join us in creating a stronger environment in which to do business; and a stronger community in which to live, play and raise our children. Read up on the latest Chamber news, press releases, and things you should know! Use the calendar to save the date for upcoming meetings and events. Introducting MyAJC.com – A New Reading Experience is Unfolding… myajc.com. Whatâ€™s best for fiscal policy in the Western Balkansâ€”rules or discretion? 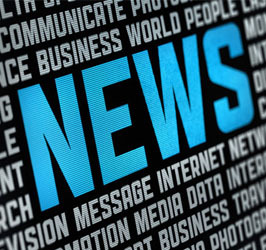 Stay connected and up to date with the Latest News and Current Affairs. I’m very happy with the quality of service received by ALL chamber staff. I have an excellent relationship with Noelle who keeps me up to date with upcoming events, member discounts and referrals. I’m 100% happy with my membership. Thank you DeKalb Chamber of Commerce. Becoming a Member was really easy. As a small business we really valued Katerina’s willingness to explain every detail and guide us through the process.